This is the first in a series of small format paintings that I'm starting for upcoming shows that I will be attending this spring and summer. Each of these will be 5" x 7" or less and priced to make it affordable to own a piece of original art. 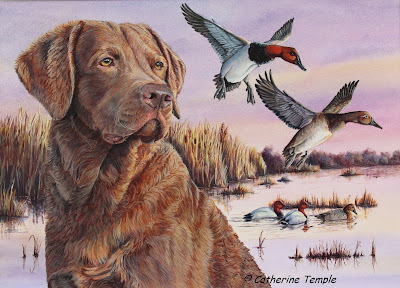 The paintings are done in acrylic on a 1/8th inch hardboard panel and would look great displayed in a collection or on an easel for desktop or bookshelf decor. They are not framed. 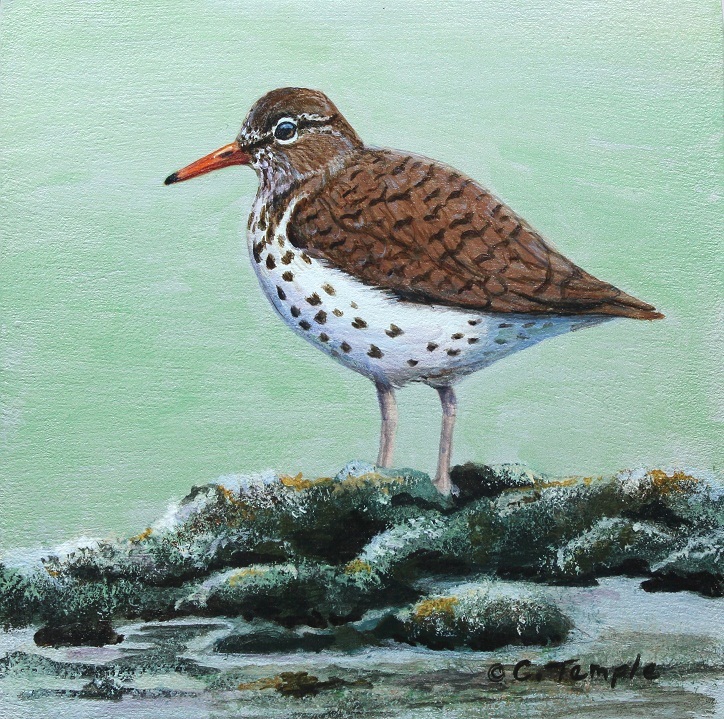 This painting is of a spotted sandpiper. These little shorebirds show up here in the spring and are fairly approachable. They are unique in that the males take care of incubating the eggs and guarding the young while the females often go off and find another mate and start another brood. This painting is available through Daily Paintworks. It's no secret that one of my passions is bird watching. 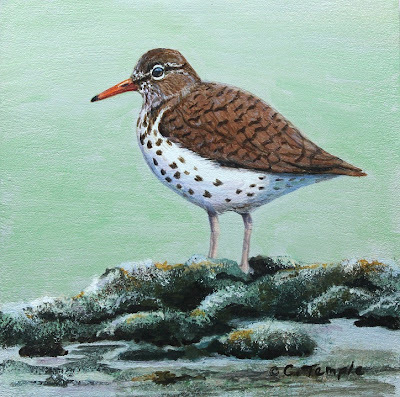 It's also no surprise when one of the birds I've seen ends up in one of my paintings. 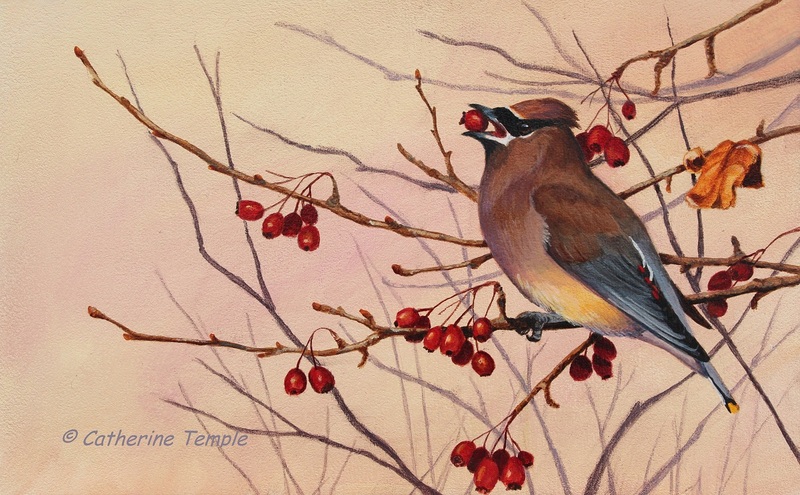 The ones in the paintings usually have some story behind them that inspired me to create something that captures the experience and not just the bird. Recently, I had just such an encounter. On a sunny, but cold afternoon in January I decided to take my dog for a walk at one of my favorite habitat areas, Chief Timothy HMU. It was rather late in the day and the sun was at that low angle in the sky that casts a beautiful warm glow on everything it touches. As I walked through a wooded area I heard a soft, lispy whistling noise overhead. 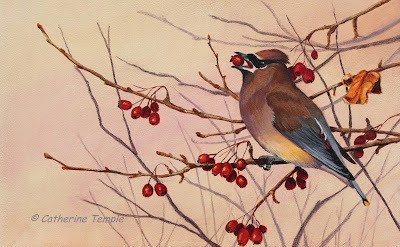 Before my eyes a flock of cedar waxwings descended through the trees to feast on the berries of the hawthorn trees scattered amongst the tall cottonwoods. I stood silently as they made their way from branch to branch hanging like so many circus acrobats to gobble and gulp as many berries as they could. The moment was magical. And just as quickly as they came they moved on to the next feast. Returning home I knew that I had just had one of those experiences that begs to be painted. This is my painting depicting that moment. I've titled it "Afternoon Delight" because the birds were obviously enjoying the feast that afternoon and I was delighted by the show. I hope you find it delightful, too.